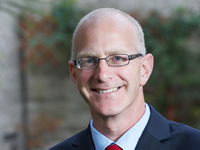 Liam O'Sullivan works as the Executive Director of Care Alliance Ireland. He holds professional qualifications in Social Work, Youth and Community Work and Social Research. His work with Care Alliance since 2004 has included bringing National Carers Week to Ireland, developing collaborative and impactful relationships with third level institutions in Family Carer research and progressing the development of a Carer Needs Assessment. He has a particular interest in Implementation Science and in bridging the gap between research policy and practice.